Influenza viruses are constantly evolving, and do so via two well established routes; Antigenic drift & Antigenic Shift (reassortment). While most reassortant viruses fail to thrive, every once in a while a viable, and competitive new subtype will emerge. As any virologist will tell you, while rare – Shift Happens. It has only been in the past few years that dogs have been viewed as potential important `mixing vessels’ for influenza – an evolutionary process that has traditionally been associated with birds and swine. But as we learn more about the host range (which includes humans, equines, swine, birds, bats, camels, and marine mammals) and the genetic diversity of influenza viruses (currently 18 hemagglutinin & 11 neuraminidase subtypes identified), we find a far more complex and intermingled ecology than previously envisioned. In years past we’ve looked at a number of species with at least theoretical potential to act as mixing vessels, including in Mixing Vessels For Influenza & A Host Of Reservoirs. Last summer, and particularly apropos for today’s blog - in Study: Dogs As Potential `Mixing Vessels’ For Influenza - we looked at the ability of different influenza strains (canine, equine and human) to infect, and replicate in, canine tracheal tissues. Last November, In A Dog & Cat Flu Review, we looked at (among other things) the emergence and evolution of avian H3N2 and equine H3N8 viruses in dogs, and just last week we saw reports that Korea has continued to find evidence of avian H5N8 infection in dogs. So it isn’t a huge surprise that we find a study, published yesterday in the Virology Journal, that has isolated and identified what appears to be a human/swine combination H3N2 influenza virus in pet dogs from Guangxi, China. Background After the 1968 H3N2 pandemic emerged in humans, H3N2 influenza viruses continuously circulated and evolved in nature. An H3N2 variant was circulating in humans in the 1990s and subsequently introduced into the pig population in the 2000s. This virus gradually became the main subtype of swine influenza virus worldwide. However, there were no reports of infections in dogs with this virus. 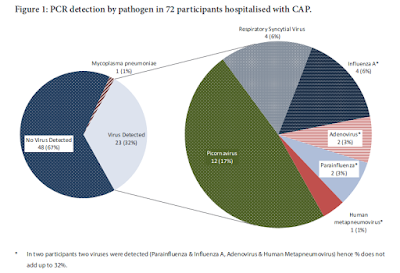 Findings In 2013, 35 nasal swabs from pet dogs were positive for Influenza A virus by RT-PCR. Two viruses were isolated and genetically characterized. In the phylogenetic trees of all gene segments, two H3N2 canine isolates clustered with Moscow/10/99 and most H3N2 swine influenza viruses. .Conclusions These two viruses share the highest homology with swine H3N2, Moscow/99-like viruses, which indicated that these viruses might originate from swine viruses. While it doesn’t appear that these reassortant viruses have become well established in canine hosts, this adds to the growing body of evidence that dogs could serve as intermediate hosts – and potential mixing vessels – for a variety of non-canine influenza viruses. Swine and poultry undoubtedly pose far larger reassortment risks, simply because they are natural hosts for influenza viruses, are often raised in large numbers and in close proximity with one another, and are often shipped long distances. But as we’ve discussed previously, in China: Avian-Origin Canine H3N2 Prevalence In Farmed Dogs, in some parts of the world dogs are regarded as food - not pets - and are raised under pretty much the same type of crowded conditions as other livestock, but apparently with even less oversight. China’s MOH introduced new regulations in 2013 requiring vaccinations and certificates of health for farmed dogs, but local reporting suggests widespread fraud or blatant disregard for these rules (see Yulin market dog safety not guaranteed - Reporter survey found that no regulations exist blank slaughter procedures). While likely a minor player, all of this makes dogs a `wild card’ in the evolution and spread of new influenza reassortant viruses, and a host species worth keeping one eye on.